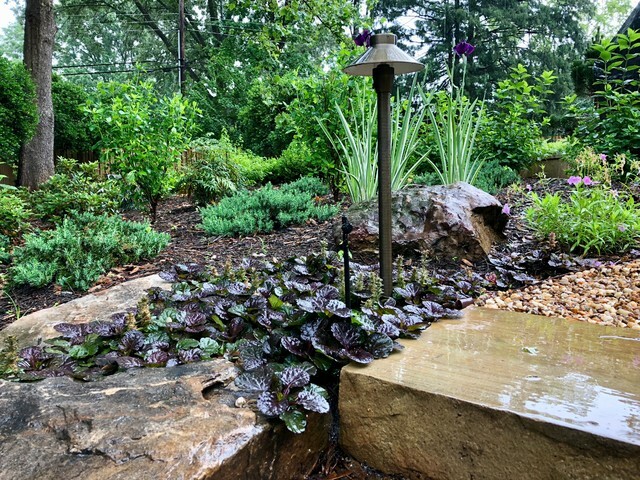 Black Scallop ajuga marries boulders to steps. Photo by Jay Sifford. Pollinator-friendly perennials on a busy city street.